The Winston County Sheriff's Office is asking for your assistance in identifying the individuals in the following photographs. These men are wanted for questioning concerning a case of fraud committed against a local convenience store on May 28 at around 6:30 pm. If you have any information, please contact their office at 620-773-5881. A plaque dedicated to those who were a part of the World War II Bataan Death March in the Phillippines was unveiled on Saturday during the Red Hills Festival activities in Louisville. 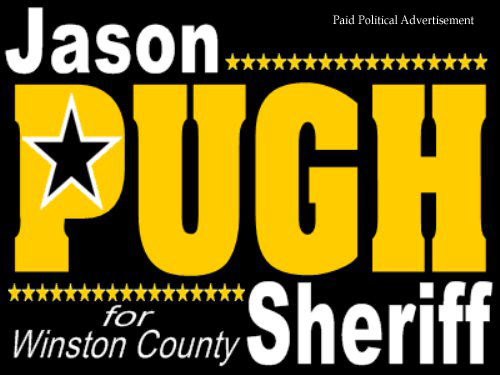 Lots happening this weekend in Lousville and Winston County! It kicks off tonight with Relay for Life as opening ceremonies begin at 6:00 pm. There will be lots of entertainment, food and fellowship. ﻿ The Red Hills Car Show of 2013 was the best ever with 101 entries, a beautiful day weather wise and the best quality cars and the nicest people you will ever meet. With the support of sponsors, door prize contributors, the Red Hills team and the many spectators, we had a good time down at First Baptist Church’s parking lot. 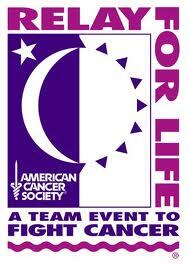 The Winston County Relay for Life will be held on Friday, May 31 at Louisville High School. Relay will holdthe opening ceremony at 6 p.m.,with cancer survivors taking a victory lap at 7 p.m.
Three members of the Coalition for a Healthy Winston County recently attended a 2-day state-sponsored resources and skills to help participants obtain a GED, become employed, join the military or attend college. 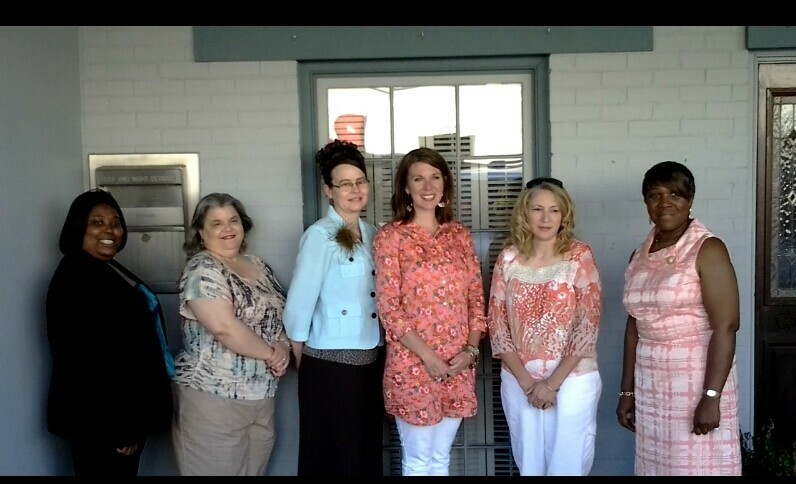 A reception honoring Captain Howard L. Marshall was held Friday, May 24, 2013 at the Winston County Library. Captain Marshall is retiring after twenty-five years of service to the City of Louisville Police Department. Press Release: It's official! Mississippi State selected to host the 2013 NCAA Starkville Regional. 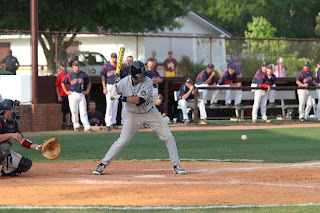 #NCAAStarkville Regional game times are expected to be 2 p.m. (#2 vs. #3 on Friday) and 7 p.m. (#1 vs. #4 Friday). Also 2 and 7 Sat. and Sun. The Nanih Waiya Warriors fell in the 1A State Title game on Saturday to Greenville St. Joe in a hard fought 3-1 battle. The Warriors took the first game of the 3 game series but dropped the final two games. Nanih Waiya was attempting to win its third straight as 1A Champs. The announcement of Natron Wood Products in Louisville could impact Attala County. May 23, 2013 News Release: A history of East Central Community College as compiled by retired English instructor Ovid Vickers will be available to the public during a special program and autograph session scheduled from 2 to 4 p.m. Sunday, June 2, 2013, on the Decatur campus. Juneteenth is the oldest known celebration commemorating the ending of slavery in the United States. Dating back to 1865, it was on June 19 that Union soldiers, led by Major General Gordon Granger, landed at Galveston, Texas. He brought news that the war had ended and that all slaves were now free. It had been two and a half years since President Lincoln’s Emancipation Proclamation of January 1, 1863 was official. Many stories were told as to why they had not known but none could be verified as the truth. Press Release: The City of Louisville Fire Department will be continuing its semi-annual fire hydrant testing throughout the city beginning May 23, 2013 through July 1, 2013 during the hours of 8:00 AM to 5:00PM Monday through Friday. All City hydrants will be tested to ensure they're operable and able to produce the required water pressure when needed. 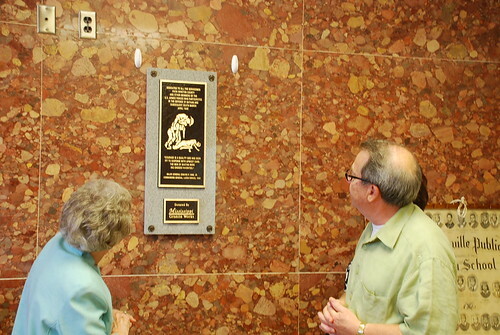 The Louisville Lions Club EyeGlass Drop Box has a new location. It is now located out front of the Winston County Library. Librarian Beth Edwards was gracious enough to offer the location when the drop box was moved from its previous spot. 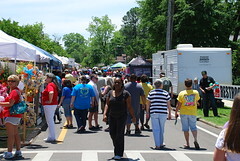 The 33rd annual Red Hills Arts Festival will be held May 24th and 25th in downtown Louisville. Starting off the Festival on Friday night from 7pm-10pm will be Jay and the T-Birds, featuring Jay McCart from Louisville. Their music is based on rock, classic rock, southern rock, R&B and country. As the vendors set-up, come out and "shake a leg", with Jay and the Band. Some local merchants will also be open for a time on Friday evening. Monday, May 13 was a banner day for Louisville and Winston County. 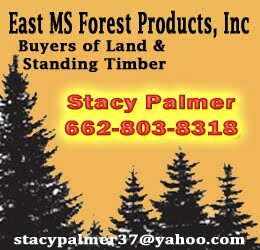 NATRON WOOD PRODUCTS, our new industry was announced by Governor Phil Bryant. Around twenty-five dignitaries and approximately 400 residents were on hand. This company will create around 200 jobs. This has come as a result of the untiring efforts of The Mayor, the Board of Aldermen and Economic Development. It takes many months of negotiations, calls, visits and correspondence to acquire a company of this magnitude. I long to see the day when our people will be seen going unto work. This will impact our entire community. This is why it is so important to elect an experienced person with 16 years experience who has the willingness and the desire to keep our economy on the increase. I AM THAT PERSON. Please return to the polls on June 4 and Re-Elect Frances Ball, Alderman at Large. Lets keeping Louisville moving forward. 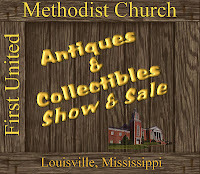 For the fourth consecutive year, First United Methodist Church First United Methodist Church in Louisville will mount its Antiques and Collectibles Show and Sale during the annual Red Hills Festival on Saturday, May 235, 2013. Community College’s 10-6 victory over Northwest Mississippi Community College late Friday afternoon in quarter-final action of the NJCAA Region 23 Tournament. 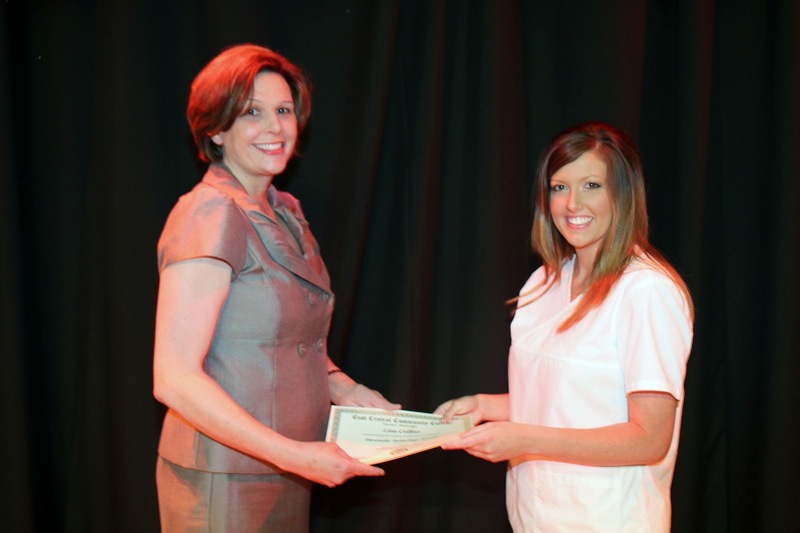 May 15, 2013: East Central Community College recognized its Associate Degree Nursing graduates at the annual ADN Pinning Ceremony held Friday, May 3, 2013, in Huff Auditorium on the Decatur campus. Receiving special recognition was Leah Johnson of Louisville, who was selected 2013 ADN Student of the Year. Johnson also delivered the program address. We've made some changes to our home page to make it easier for folks to keep up with all the events going on in Winston County. We will soon be changing our calendar to allow the public to suggest events and set personal reminders for upcoming events. We hope you like it and find it useful. We'll have more details as these changes are made. Check it out below! Some LMSD Seniors Get One More Chance to Meet Graduation Requirements with"Emergency State Testing"
risk to not graduate with their classmates. For more than 10 years, seniors have been required by the “No Child Left Behind Act” and State requirements to pass subject specific tests to graduate and participate in their school’s commencement exercises. Nanih Waiya Baseball takes game one of South State 1A Championship series with a 11-6 win over Stringer on Thursday night. Game 2 is scheduled for Saturday at 5:00pm at Nanih Waiya. The winner of the series will play for the state title. The Louisville Municipal School District Board met on May 14. Much of the Board's business centered around preparation for the next school year (2013-2014) but the District did honor each school's Parent of the Year and District Parent of the Year. (see our previous article). The Louisville Municipal School District honored the District's Parents of the Year at Tuesday's (May 14) Board Meeting. A parent from each school was selected and also a District Wide Parent of the Year. Nanih Waiya Baseball will face Stringer starting tomorrow (Thursday) as they continue their advance to ward a South State Title and the overall state championship again. According to school officials, tomorrow's game at Stringer will begin at 7:00 pm. 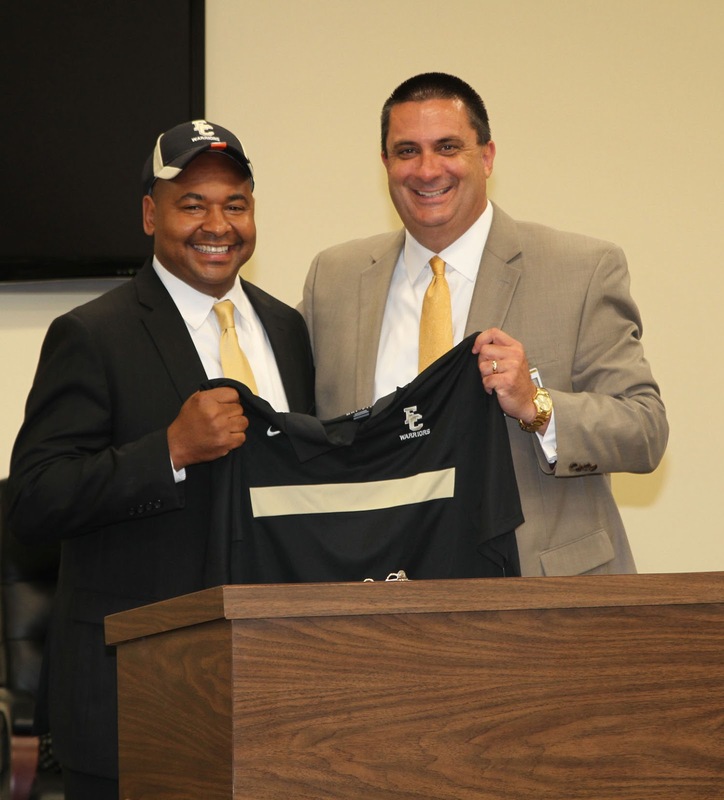 ECCC President Dr. Billy Stewart introduced the new Warrior head coach during a press conference held Tuesday, May 14, 2013, in the Board of Trustees Room located in the Vincent Administration Building. May 13, 2013, News Release: East Central Community College will name its new men’s head basketball coach during a press conference scheduled Tuesday, May 14, 2013, on the Decatur campus. The announcement will be made at 3 p.m. in the Board of Trustees Room located in the Vincent Administration Building. The new Warrior head coach succeeds Maurice Bowie who led the program for seven years. Press Release, May 13, 2013, Louisville, Miss. - Gov. Bryant was on hand Monday with local and company officials to announce Natron Wood Products locating to Louisville, Miss., in Winston County. The operations will be located in a 265,000-square-foot existing facility, and represent a company investment of $10 million and will create more than 200 new jobs. 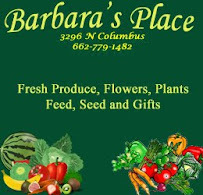 Products based in Jasper, Oregon to Louisville and Winston County. Governor Phil Bryant made the announcement this afternoon at the facility located at 861 South Columbus. The Louisville Fire Association Fish Fry on Saturday was a success as approximately 120 tickets were sold and there were significant walk up sales as well. Funds raised go to the local Relay for Life. Winston County Government Now Online! The website for Winston County Government is up and running! While the Emergency Management and Sheriff's Department sites have been online for a few weeks, the main government site was just recently completed. 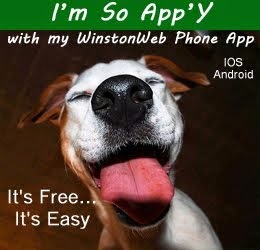 With the URL address of http://winstonms.com, the site incorporates information on the various offices within the Courthouse, provides contact information, lists officials and provides answers to frequently asked questions by the public. Just a reminder that the public is invited as Governor Phil Bryant and other dignitaries come to Louisville to unveil the name and the particulars of the new industry headed to Louisville. The event is scheduled for 2:30 pm at 861 S. Columbus at the former Georgia Pacific Plywood facility. A wooden canopy collapsed bringing some of the brick and concrete structure of a building in the 100 block of South Church Ave. tumbling to the sidewalk. The incident occurred sometime on Saturday morning. The cause is unknown at this time and no one was injured. Engineer/Fire & Life Safety Educator Detrick Sanders has been awarded the Gary Kistler Life Safety Award for 2013. The award which was established in memory of firefighter Chief Gary Kistler, whose dedication made major strides to bring fire and life safety to the Southern Division of Mississippi, was presented at the Ms Asociation of Public Fire Safetu Educators (MAPFSE) annual conference. Sanders was selected through a statewide nomination process. May 9, 2013 News Release: Numerous student-athletes received honors at the 2013 Spring Sports Awards Banquet held April 30 at East Central Community College in Decatur. Lake Tiak O'Khata. The program has grown from 4 students at its inception to 41 students for this school year. The Mississippi Governor's Office has extended an invitation to the public to attend an important unveiling in Louisville on Monday, May 13 at 2:30 pm at 861 South Columbus. This location is the old Georgia Pacific Plywood facility. State officials are expected to release a statement/invitation by mid morning concerning a new industry headed to Louisville. We will have the details as soon as they are released. TRIAD planted Raised Bed Gardens with Friends of Dean Park, Inc.
on Saturday, May 25th. This is an open car show in that all makes and models and years are welcome. The show opens at 8:00 AM and the judging begins at 11:00 AM. The location will again be in the parking lot of First Baptist Church on South Church Ave. in Louisville, Ms.
Winston County Library. Miller's new book, "Seeds of Harvest" is a step by step guide for developung and growing new churches. little fishing. Rain earlier in the week threatened to put a damper on the Kids N Kats Fishing Rodeo at Legion State Park but 75 determined youngsters were rewarded as the catfish were definitely biting. 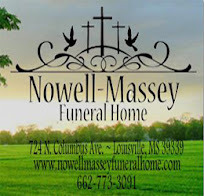 Today (Monday - May 6) is the last day to preregister for the Red Hills / JA 5k Run/Walk on May 25th in Louisville. Held on the day of the Red Hills Festival. If you register by today you get a T-shirt! Contact this # 662-803-7231. I am Frances Ball asking you to please go to the polls on Tuesday May 7 and vote for me. This is very important election and your vote counts. Please let my 16 years experience AND my desire to continue to work for all of us.. Many exciting things are happening in the city now. I am so excited to let you know that there is great news concerning our coming industry. It will be timber related and will employ around 200 people, An official announcement is planned for mid-May. I will give more details later. Join hands with me and “Lets KEEP LOUISVILLE MOVING FORWARD”. Winston Co. Supervisors meet this morning at 9 am......City primary elections are scheduled for Tuesday. Polls open at 7 am. See our previous article for details.......Big economic news may be headed our way. More details as they become available.......Nanih Waiya baseball takes on Cathedral this afternoon in game three after series split. 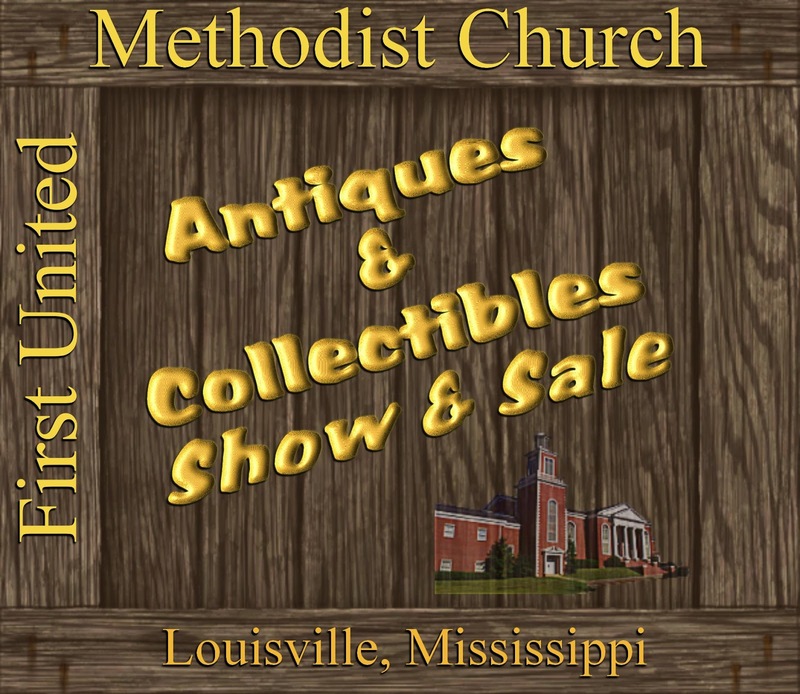 NEWS RELEASE: Exhibitor display spaces are still available for the fourth annual Antiques and Collectibles Show and Sale May 25 at First United Methodist Church in Louisville, Mississippi. A wide variety of antiques and collectibles will be shown and available for sale. The regularly scheduled meeting agenda for the City of Louisville starts at 5:30 pm. The agenda is subject to change when necessary. To be placed on the agenda, please contact the City Clerk at the Louisville City Hall. May 3, 2013..News Release: The spring semester concert featuring the East Central Community College Collegians has been cancelled, announced College officials. The popular group’s performance was scheduled at 7 p.m. Saturday, May 4, 2013, in Huff Auditorium on the Decatur campus. The Collegians are led by Thomas W. Carson, retired ECCC Director of Bands, who is continuing his battle with cancer. WWN has compiled these photos of Louisville and Winston County and they are currently used on the City's website. We hope you enjoy and recognize our quality of life. In spite of all the issues that small towns and rural areas face, we don't think there is a better place to live and raise your family. 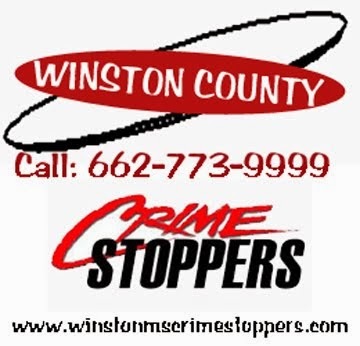 The weather may toy with us over the weekend but rain or shine there is a lot going on in Winston County. Any rain shouldn't dampen the book sale at the Winston County Library as it continues on Friday and until 11:00 am on Saturday. The Bond School Reunion starts at 2:00 pm at Murphy Creek Baptist Church on Saturday as well. If you have your tickets, your young ones are surely excited about the Disney Character Dining at Lake Tiak O'Khata on Saturday sponsored by Winston Medical Center's Relay for Life Team. The rain could have an affect on sign up for the Louisville Eagles at Ivy Park on Saturday for ages 7-12 on May 4, 2013 from 9 am-3 pm and the rummage sale at Dean Park that starts at 7 am. Right now it looks like Saturday morning may be clear of rain before returning in the afternoon. Get your gear ready and wake the kids up early to make the Kids n Kats Fishing Rodeo at Legion State Park. Registration starts at 7 am and fishing starts at 8 - Details Here. To finish off the day, stop by the East Winston Volunteer Fire Dept on Hwy 14E and pick up a spaghetti plate. Serving starts at 5 pm and there will be a cake walk also. You can find out more about these events on our local events page and check out our calendar. If we missed something - It's because you didn't tell us. 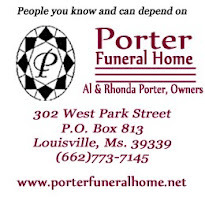 If you have a non-commercial event that you need publicized, there's a multitude of ways to contact us: email at admin@winstonwebnews.com, on Facebook or Twitter, call us at 662-773-5555 or fax us at 662-773-5910. Ya'll have a great weekend, try to stay dry and we hope the kids catch a couple of big ones! A Wednesday evening traffic stop by a Winston County Sheriff's Deputy ended in a high speed chase, a wrecked vehicle and a felony charge. We are nearing the election day which is May 7th. 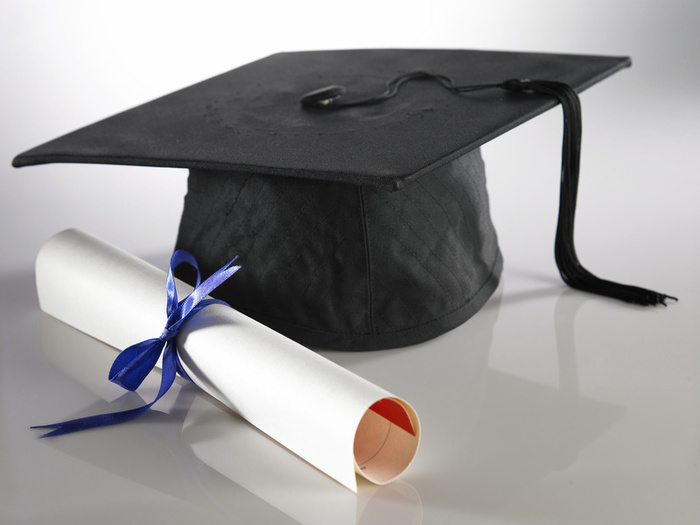 I ask you to consider my qualifications and my sixteen years of dedicated service. This is a most important election. There are many exciting things happening right now in Louisville. We have two new businesses coming soon, The Family Dollar Store and Hibbetts Sports. Our street paving is under way which is much needed. I humbly ask you to go to the polls and vote Frances Ball Alderman at Large, City of Louisville. Thank You! The Friends of the Library book sale starts at 9 am this moring at the Winston Co. Library- big selection!......... There's been little promotion this year but today is the National Day of Prayer.